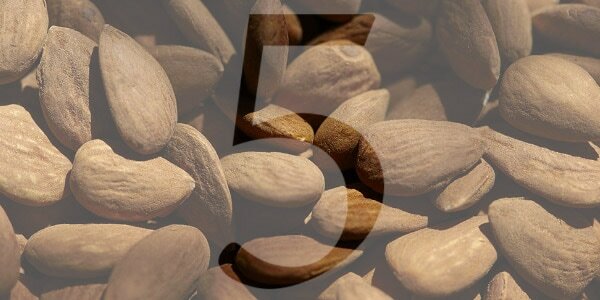 Almond is well-known for it's firming and softening properties. These Provençal fruits are not only delicious to taste, yet are excellent at deeply nourishing the skin. We have harnessed the exceptional active proteins and ingredients of Almond from the South of France and integrated it into our body treatments, making skin feel firmer, softer and more nourished. 1 - Introduce the Almond Shower Oil to your beauty routine to help stimulate cellular renewal, making skin seem smoothed and tightened. 2 - Use the invigorating Almond Shower Scrub on a weekly basis to eliminate dead skin cells and rid of impurities, allowing skin to breathe and shine with radiance. 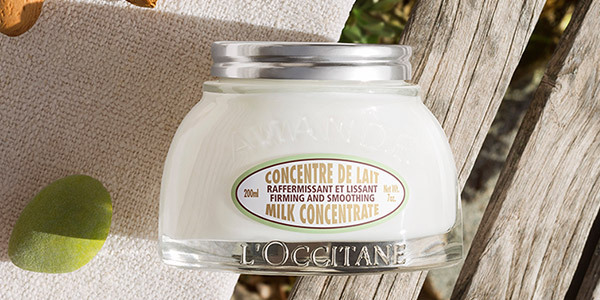 3 - Massage your body with the Almond Milk Concerntrate or Almond Velvet Balm, focusing on your stomach, bottom and thighs. Always combine your products with effective massage techniques, such as deep circular motions. 4 - Apply the smoothing, light-textured Almond Velvet Serum after your shower to improve fine lines and skin irregularities. 5 - Enhance your inner well being and introduce healthy and fresh ingredients to your diet such as zucchini, apple, lemon, green tea, pepper, pineapple and broccoli. Enriched with powerful almond extracts, the Almond Milk Concentrate will melt into your skin, leaving it firmer and smoother with an added benefit of bringing 48 hours of hydration. Skin feels nourished and comfortable thanks to the combination of almond milk and oil, which helps to moisturise and soften the skin. Skin looks firmer and re-densified thanks to the action of almond proteins and a silicium derivative. After one month of use, body contours are better defined, while skin looks satiny-smooth. Massage with circular movements, always from bottom to top, each morning and/or evening on the whole body. For best results, focus on areas to tighten and tone, such as thighs, stomach and bust. Tip: Smooth Milk Concentrate onto skin after hair removal or shaving, to soothe and moisturize.